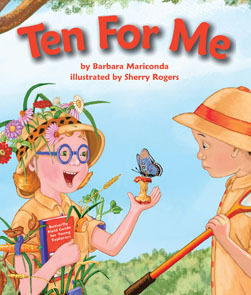 Learning doesn't end on summer vacation, here are 10 free dual-language, interactive ebooks that are sure to inspire kids to explore nature. 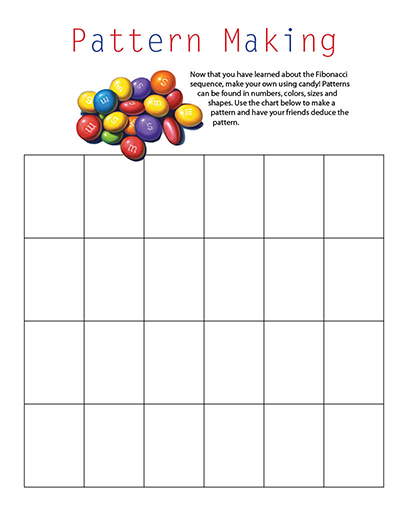 Click on the book cover to read the ebook then find a printable activity for each title including a science journal, scavenger hunt, or bingo game! 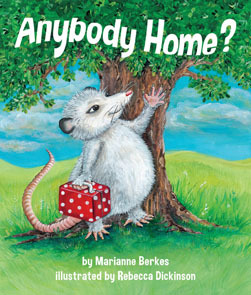 Read Anybody Home? and meet Polly Possum, her friends, and her babies as she looks for the perfect place to call home. Then, lead your own book club with our handy discussion sheet! 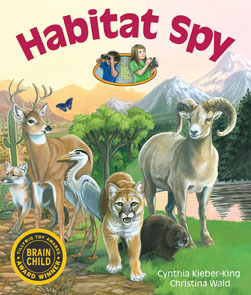 What is in Your Habitat? 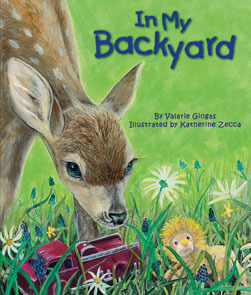 Go on an adventure around the world and meet the plants and animals that live in deserts, forests, and oceans. 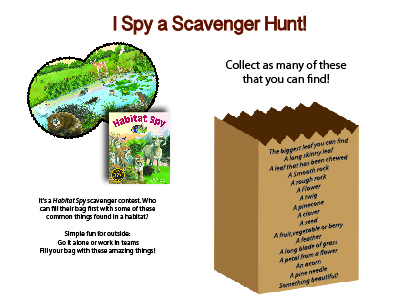 After reading Habitat Spy, take a trip into your habitat to for a real scavenger hunt! 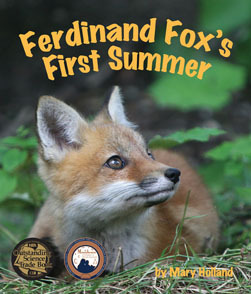 Play along with Ferdinand and his siblings as they explore the world using the five senses in Ferdinand Fox's First Summer. 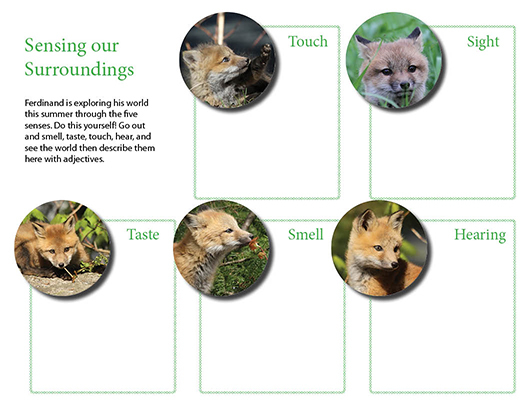 Use your senses to explore the world and write about what you find! There is so much more to the beach than sand and swimming. 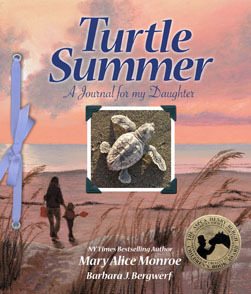 Sea turtles, shorebirds, and shelled creatures call the beaches home in Turtle Summer. 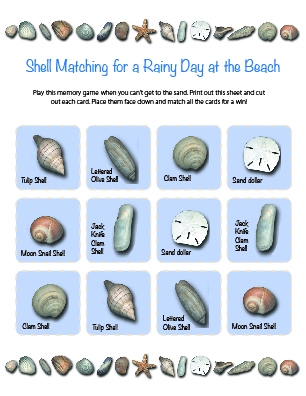 Learn the names of shells found on Atlantic beaches as you play a memory matching game! Bouncing, baby animals numbered from one to ten are found In My Backyard. 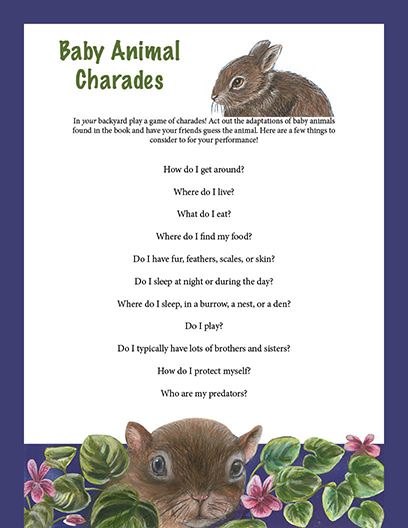 Get to know the animals you might find scurrying through your backyard then test your acting skills with a game of charades. While Ed and Rose are busy capturing butterflies in Ten For Me, you can create your own insect house and fill it with a temporary resident. Put on a lab coat and become a scientist as you record findings in the Buggy Science Journal. 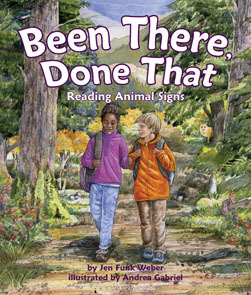 Hike along with Cole and Helena looking for signs of life in Been There, Done That: Reading Animal Signs. Then track your knowledge in a game of bingo! 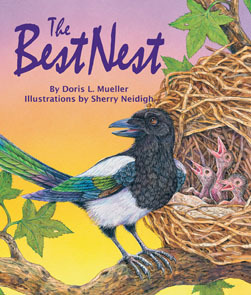 Listen to Maggie Magpie she will tell all the other birds how to build The Best Nest. Collecting twigs and leaves and mud may not be for you, try a nest with sticks and glue, pipe cleaners may work too! 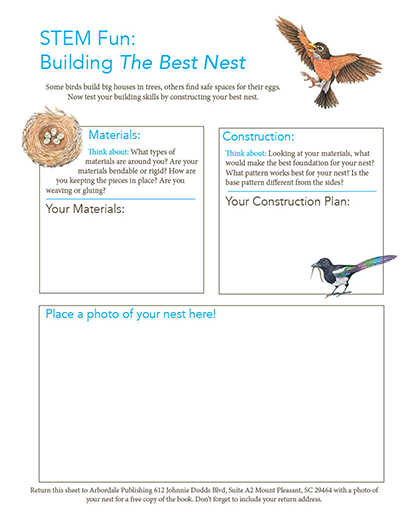 Think it through with this nest building STEM activity. 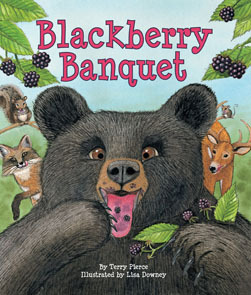 Blackberries grow sweet in the summer sun, and the forest animals enjoy the Blackberry Banquet as long as they can! 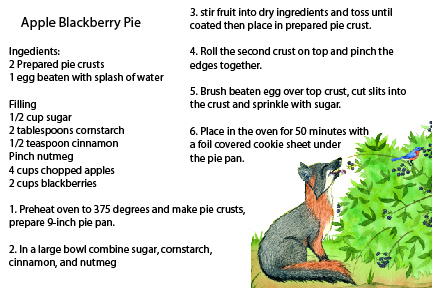 Berry picking is great outdoor fun, and we have a recipe card for enjoying the sweet rewards! 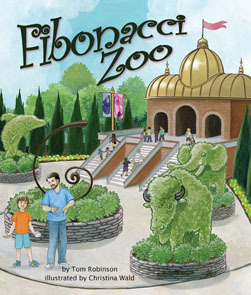 Fibonacci Zoo is a special place. 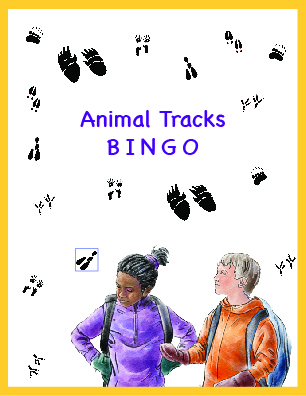 Find out what makes this zoo different from others as Eli races to find a pattern. This free ebook offer can also be enjoyed on your ipad and android devices with our Fun eReader® app. On the App's registration page, in the school login section select: United States, Alabama, Ebook of the Month, password: ebook.